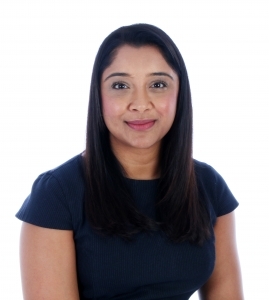 Nisha founded ‘The Good Leader’ in 2018 after almost 20 years in the learning and development field. She fell into the profession quite by accident when she took over the running of the family’s training organisation along with her mother in 1998 after her father passed away. She learnt and experienced first hand that no matter what background you come from or how old you are, if you are willing to learn and absorb new information you can change your life for the better. Nisha gained the CIPD qualification and spent time working on her craft in a variety of professions both here in the UK as well as in the Middle East. A skilled, thought-provoking and engaging facilitator. Her career highlights range from designing and facilitating leadership and management programmes for organisations such as TNT MEA and Gowling WLG UK, to supporting team development at the Law Society. Belbin Team Roles is an assessment tool which helps us understand why some individuals perform well in some teams and yet not in others. Whether developing people, resolving conflict or fine-tuning high performance, Belbin provides the language to ensure that individuals and teams communicate and work together with greater understanding. Perfect for team away days and events. Find out more click here. PRISM Brain Mapping is a sophisticated, online, neuroscience-based instrument specifically designed to identify the behavioural preferences that directly relate to personal relationships and work performance. PRISM provides three distinct profiles, or ‘maps’, of a person’s behaviour: how he or she naturally prefers to behave; the extent to which he or she feels it necessary to modify that behaviour on occasions to achieve key objectives, and the overall pattern of behaviour that he or she tends to use for most of the time. The impact that PRISM makes is a powerfully positive one at the individual, team and organisational level. Find out more click here.